My partner in crime, foodie accomplice and beau whom I always refer to as my date, went on a short trip to Singapore a week ago. Since he knows my love for sweets and milk tea, he brought me some goodies, along with other pasalubong. And among the sweet treats, I found interest in the Old Town White Milk Tea the most. 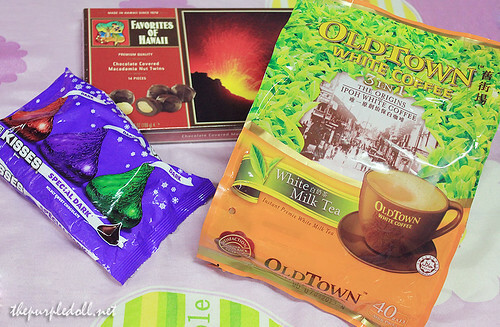 Old Town is a Malaysian brand boasting of its White Coffee mixes. I haven't personally tried their white coffee yet, but my date says their coffee mixes are good. As for the Old Town White Milk Tea, my date cannot give an objective rating since he's not really a big fan (Okay, he's not really into them!) of milk teas. Old Town White Milk Tea can be served either hot or iced. But since I have a cold, I opted to use hot water. 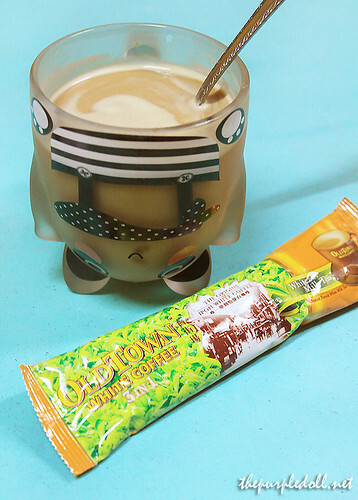 Having tried tons of milk teas in the market, I can say that for a 3-in-1 instant milk tea mix, Old Town's is really good. It has a lovely and calming aroma and there is a balance of the milk's sweetness and the tea's slight bitterness. The mix is also quite light and has a better milk-tea balance compared to Lipton's Original Milk Tea which used to satisfy my milk tea cravings at home. After trying Old Town White Milk Tea, I think it'll take quite some time before I'll use Lipton's as a quick milk tea satisfier. OMG! Inggit ako sa Old Town White Milk Tea! I wish we could try this locally ^_^ sounds good! i love milk tea! lipton milk tea is okay din for me. I also have special dark hershey's kisses pasalubong din but napansin ko lately nawawalan ako ng cravings sa chocolates.